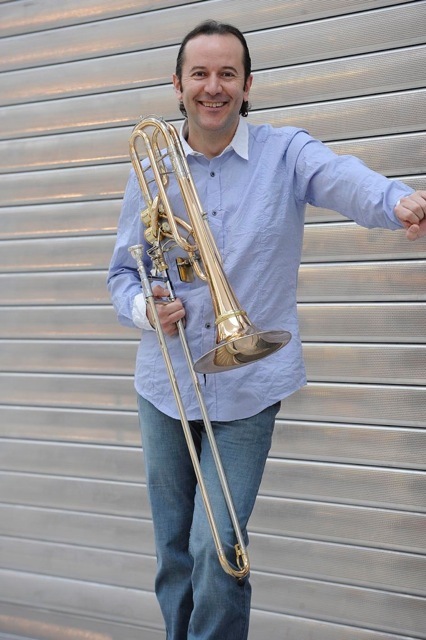 Javier Colomer is an active International trombone player, His apareances are constantely in several Latin American, European and Asian countries , performing solo recitals, concerts, jury and master class. In his former study he start with Eduardo Peris Signes, solo trombone of professional Alicante Wind Band, later he follow in the Alicante Conservatorium with Jesús Juan Oriola and Vicente Más Varó. Complementary studies was under Ben van Dijk, Stephane Loyer, Joe Alessi, Christian Lindberg, …. Within their teaching more than 24 years of experience, he did more over 100 courses and master classes where has taught and coached students from various conservatories , universities and music schools both national (Spain) and international (Uruguay ,Venezuela ,Peru , Argentina, Brazil, Ecuador , Colombia , Germany, England , Iceland, Portugal, Korea). Gulbenkian of Portugal , Aalborg Symphony Orchestra in Denmark, Alicante Symphony Orchestra , Almansa Symphony Orchestra, Ruperto Chapi Symphony Orchestra, Alicante Municipal Wind Band , Castellón Municipal Wind Band , Valencia Symphony Orchestra , Elche Symphony Orchestra. Within his contribution to the world trombone literature, has published the first method for contrabass trombone in the history ” The World of The Contrabass Trombone “ . Several composers have written works specifically for him as the Concerto for Bass Trombone in Rem (Ignacio García Vidal) piece for Bass Trombone and Wind Band OMAIRA (Carlos Pellicer), ETIAM CONCERTO for Contrabass Trombone and Orchestra (Angel Gaspar Tortosa) and SHORT PIECE (William Pagan), CAPRICCIO by Hong kong composer Donald Yu, TROMBAJ concert for Bass Trombone and wind band by composer Juan B. Meseguer and CASTILLEJO, piece for Contrabass Trombone and piano by composer Miquel Ibiza. He is an international artist of the prestigious German company THEIN BRASS INSTRUMENTS instruments since 2006.